Florey Institute research fellow Dr Claire Turner has been awarded the prestigious Wellcome Trust and Royal Society Sir Henry Dale Fellowship. This award will fund Dr Turner's research on the human pathogen Streptococcus pyogenes for the next five years. Dr Turner will be continuing her work on the human pathogen Streptococcus pyogenes, also known as the flesh-eating bacteria, which causes tonsillitis and skin infections but also severe and potentially lethal infections such as necrotising fasciitis (‘flesh-eating disease’). One of the major primary infection sites for S. pyogenes is the human tonsil but we are limited in our knowledge of the host:pathogen interactions at this site due to the lack of infection models we can use in the laboratory. "Streptococcus pyogenes is specifically a human pathogen so the ability to use human models of infection is a rare and invaluable opportunity. It is such an exciting prospect to actually be able to determine how Streptococcus pyogenes interacts with human tonsil and establishes disease. This is the site where genetic exchange occurs and new variants arise and are selected for yet we know relatively little about it. I am thrilled to have been awarded this fellowship that will allow me to establish my research group and develop these models of infection to answer important scientific questions about streptococcal disease." For this fellowship, Dr Turner will be collaborating with Dr Vanessa Hearnden (Department of Materials Science and Engineering) and Dr Craig Murdoch (School of Clinical Dentistry) who have been developing 3D tissue engineered models of human tonsil (Grayson et al. J Tissue Eng Regen Med. 2017). Human tonsil tissue is obtained through routine tonsillectomies, then cultured and reconstructed into the natural complex 3D structure in order to be used in the laboratory. Dr Turner will develop this model for streptococcal infection to determine the interactions of S. pyogenes with human tonsil to understand the important process of infection. As part of her work in the University of Sheffield, Dr Turner recently identified that major genetic changes can occur within certain genotypes of S. pyogenes resulting in emergent variants that are more successful than previous variants. This can lead to increases in disease prevalence but we don’t yet have a clear understanding of how these genetic changes occur or how they drive the success of new variants over their predecessors. It seems likely that primary infection sites such as the tonsil are key to success of the new variants and by using the human tonsil models of infection she will go on to explore this further. Recently Prof. Simon Foster and Prof. Pete Monk represented the University of Sheffield and the Florey Institute at the China-UK AMR Initiative Workshop in Shanghai on 20-24 November 2017. The workshop was an opportunity for UK and Chinese researchers to explore areas of collaboration in the area of antibacterial resistance. The workshop precedes a UK-China AMR Centre Partnerships Initiative call by Research Councils UK (RCUK) and the National Natural Science Foundation of China (NSFC), under the umbrella of the Newton Fund, which is due to open in February. During his stay, Prof. Simon Foster visited the R&D Headquarters of WuxiApptec, a global drug development company with 16,000 employees, and Xiamen University to discuss mechanisms for continuing and expanding research links in the AMR area. A new study by researchers at Sheffield Teaching Hospitals NHS Foundation Trust and the University of Sheffield has shown that a topical decontamination regimen can enhance routine measures to prevent catheter-related bloodstream infections (CRBSI) in haematology patients requiring central venous line insertion. CRBSI are a common complication of central venous line placement and can cause significant morbidity and mortality. Certain demographics, such as patients treated intensively for haematological malignancies, are particularly vulnerable to the adverse effects of CRBSI. As a central venous line is required for delivery of drugs, fluids and blood products, more effective measures are required to prevent CRBSIs. This historically-controlled cohort study showed that infection rates can be significantly reduced by application of chlorhexidine or Octenisan® body washes and nasal Prontoderm® ointment for 5 days around the time of Hickman line insertion; a new decontamination regimen that was introduced by Sheffield Teaching Hospitals in October 2013. Results from a 24 month period prior to implementation of the decolonisation regimen were compared with a 12 month period after the intervention was initiated. Results showed that the new regimen reduced CRBSI rates from 35.0 to 6.8 cases per 10,000 line-days by 21 days (p = 0.009), and from 26.0 to 14.4 cases per 10,000 line-days by 180 days (p = 0.025), and improved infection-free line survival times. "As a result of this study, the intervention has now become routine practice at Sheffield Teaching Hospitals and is being examined by other units. Line related infections are a massive problem in Haematology patients and so any reduction in their incidence is very welcome news for patients". Alex is officially our Microbiology Champion! Congratulations to Alex Remmington, one of our second year PhD students, who has just been accepted by the Microbiology Society (https://www.microbiologysociety.org) as a Society Champion for Sheffield and neighbouring areas in their Champions Scheme. 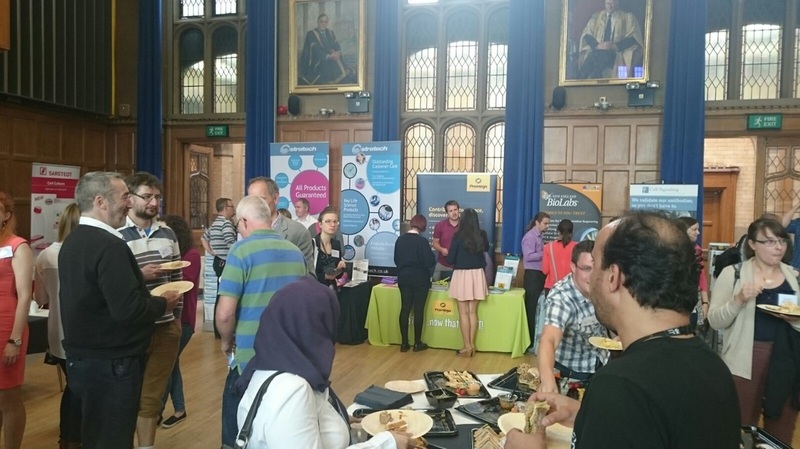 Alex said “As a PhD student I have found my Microbiology Society membership particularly valuable and motivating, and have been to some truly brilliant Society sponsored events over the years. Being part of the Champion Scheme, I am committed to expanding the scope and size of our outreach activities here at Sheffield and hope to help raise the profile of the Society." If you’d like to know more you can contact Alex (aremmington1@sheffield.ac.uk) or follow him on Twitter. And we're off - Launch of the new Florey seminar series! We’d like to extend a big thank you to Dr Andrew Edwards from Imperial College London for his fantastic seminar entitled “Staphylococcus aureus and the art of compromise” which helped us kick off our Florey seminar series on 07 November 17. Dr Edwards provided a packed lecture theatre with some fascinating insights into persistent S. aureus infections, including some newly published data on how bacteria can acquire mutations that help them survive antibiotic treatment. A very enjoyable, if somewhat eye opening experience!! Thank you Andy! The vital contribution of microorganisms in our environment calls for large-scale efforts to chart our microbiome environments. A recent commentary by Florey PhD student Daria Shamarina and colleagues, in Microbiome, highlights 'the promise, risks, and ethics of large-scale, open space microbiome and metagenome research' (such as the Earth Microbiome Project and MetaSUB (Metagenomics and Metadesign of Subways and Urban Biomes) project). These studies seek to advance new strategies, such as the design of “smart cities” that could for example convey early warnings for potential epidemics. As microbiome studies often aim to quantify microbial biodiversity, it is important to raise awareness of the role of commensal bacteria and the benefits of the microbiome in human health. The public often associate microorganisms with disease-causing pathogens, leading to concerns that findings from global microbiome surveys may be misinterpreted. As negative implications may put the future of such studies at risk, the paper addresses many of the issues raised and provides practical recommendations for how we can enhance the accessibility and transparency of microbiome research. Read the full study in Microbiome. The UK-India Centre for Advanced Technology for Minimising the indiscriminate use of Antibiotics (UKICAT-MA) is one of 25 applications that have been shortlisted for the 2017 Newton Prize, an annual £1 million fund awarded for the best research or innovation that promotes the economic development and social welfare of developing countries. The UKICAT-MA, led by Professor Stephen Rimmer (University of Bradford), with researchers from the University of Sheffield and the LV Prasad Institute and Birla Institute of Technology in Hyderabad focuses on finding solutions to the excessive and inappropriate use of antibiotics. To achieve this, the centre uses smart materials for the detection and targeted treatment for eye infections. In Medical Research Council (MRC) and the Government of India Department of Biotechnology (DBT) funded work so far, the team have developed polymer hydrogels that are capable of disrupting biofilms in infected corneas and polymers that can modulate quorum sensing (QS) signalling in bacteria, an essential step in biofilm formation. The proposed project is to further develop the polymer hydrogels with QS-modulating capability as a novel non-antibiotic treatment for infection. "We are delighted to have been shortlisted for this prestigious prize. Our highly collaborative and interdisciplinary work between the University of Sheffield, the University of Bradford, LV Prasad Eye Institute and Birla Institute of Technology is towards solving the global problem of antimicrobial resistance. Outcomes from this work would not be limited in interest to those directly in the field of eye infections; development of these microbial detection and anti-biofilm modalities will have far reaching possible implementation." The UKICAT-MA is one of ten nominations from India, from which two will be awarded a prize (of up to £200,000) on 1st November to advance or develop their existing Newton funded work. Thank you to everyone who joined us for ‘The Drugs Don’t Work’ symposium (#TDDW) last week (19-20 September 2017). 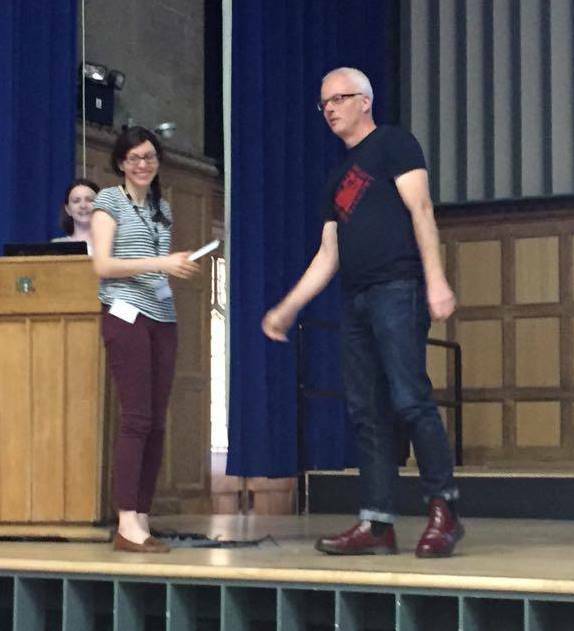 The symposium was the official launch event for the Florey Institute and the final event for the Sheffield Antimicrobial Resistance Network (SHAMROK). 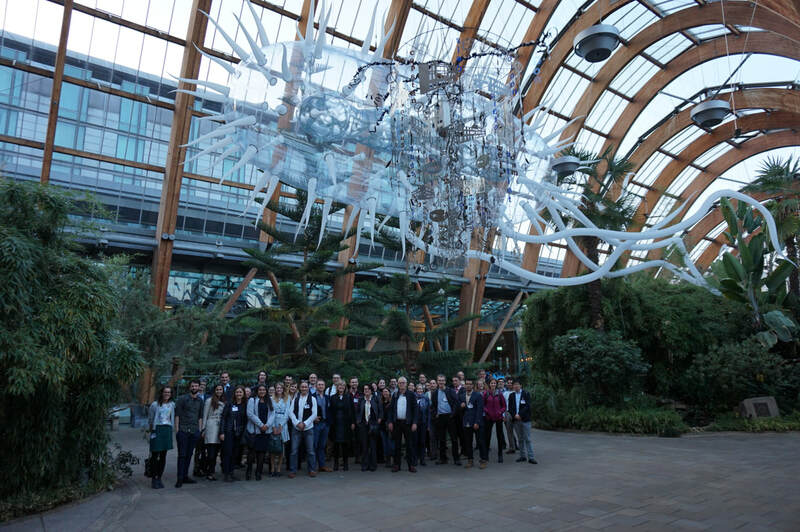 With a focus on bacterial pathogenesis and host-pathogen interactions, the symposium had wide appeal, attracting over 150 delegates from Sheffield and beyond. The calibre of the talks was exceptional and covered a range of antimicrobial resistant pathogens – from research on the bacterial cell wall right through to the current clinical situation and novel therapeutics. 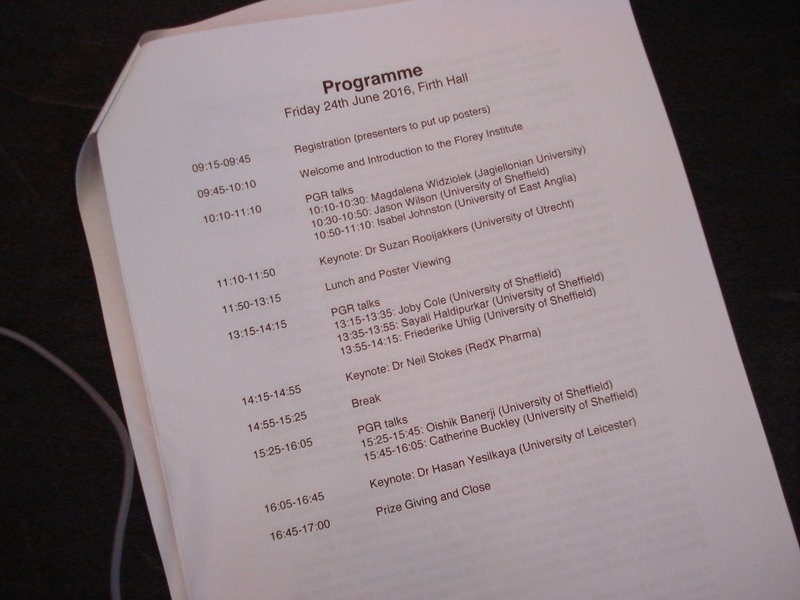 The symposium was held over two days; with a poster competition, drinks reception and conference dinner (at the Crucible Theatre) on the first day. 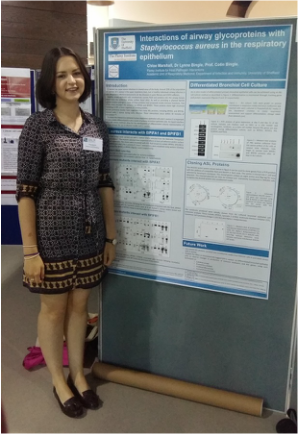 Congratulations to Dr Dominika Gruska (The Francis Crick Institute) for winning first prize in the poster competition for her poster entitled ‘S. aureus surface protein G reveals a novel mechanism for assembly of long and mechano-resistant adhesins’. Rebecca Hodges (University of Sheffield) won second prize for her poster 'Investigating real-time infection dynamics of the pathogen Staphylococcus aureus within the zebrafish host' and Aisling Towell (Trinity College Dublin) won third prize for 'Identification of Staphylococcus aureus factors that promote adherence to corneodesmosin'. We are very grateful for the funding from the EPSRC and all the companies (PCR Biosystems Ltd, Scientific Laboratory Supplies, Sarstedt, New England Biolabs, Triple Red, Gas Arc, Olympus and Eppendorf) who sponsored the event. Thank you so much for supporting our symposium! Thank you also to everyone who sent us feedback after the event (see below for some examples). We've been absolutely delighted to receive such positive feedback! "The symposium was excellent. 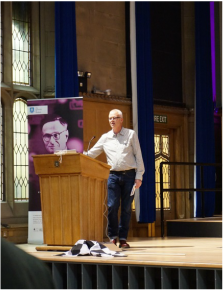 The external speakers were very well chosen and the internal presentations showed very clearly the breadth and quality of the researching going on in Sheffield". "Absolutely fantastic. It exceeded all my expectations in form and content. It was of great value on the contents delivered and the opportunities for networking". "Excellent variety of speakers. All very high quality presentations, relevant and interesting. Great venue and well run". "The best conference I've been to in quite a while. Amazing science and thoroughly enjoyable all round". 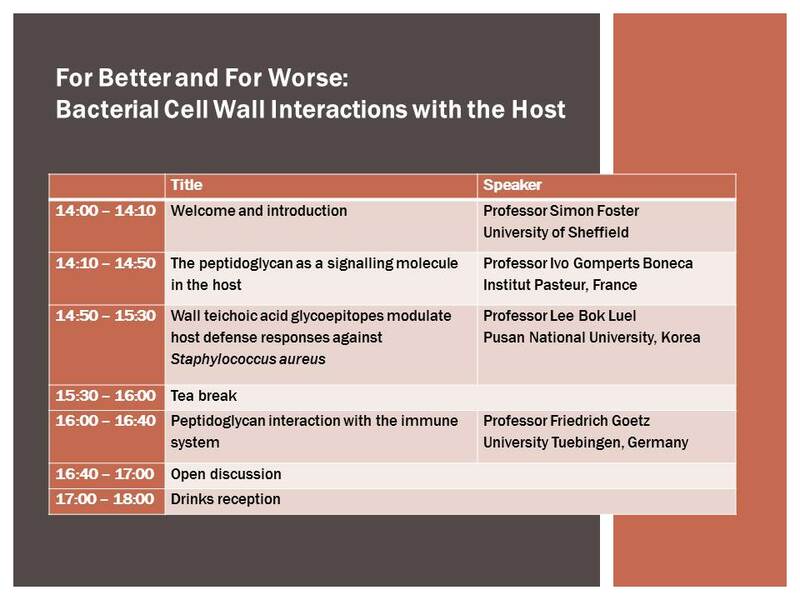 ​On 18 September, Simon Foster hosted an MRC funded workshop at the University of Sheffield to examine the complex interplay between the bacterial cell wall (in particular the structural polymer peptidoglycan) and our immune systems. ​The talks explored key elements of this relationship and the challenges for the future. Many thanks to Professor Ivo Boneca (Institut Pasteur, France), Professor Lee Bok Luel (Pusan National University, Korea) and Professor Friedrich Goetz (University Tuebingen, Germany) for their thought-provoking talks and fascinating insights. It was the perfect start to our launch celebrations! In response to the urgent and global threat of antimicrobial resistance (AMR), the Medical Research Foundation (MRF), the charitable foundation of the Medical Research Council, has invested £2.85M in delivering the UK’s first nationwide PhD training programme to focus on this major health challenge. The PhD training programme, led by the University of Bristol, comprises 16 academics from 13 universities and research institutes. The MRF’s programme will provide 4-year PhD funding for 18 students in the first cohort, with the studentships being distributed across a wide range of participating UK universities; including Sheffield. In addition, training courses and cohort building/networking events will be funded to benefit up to 200 PhD students studying AMR-related problems from across the UK. The programme has been developed in response to a gap in funding for PhD studentships in this field of research – currently there are few emerging researchers trained in the multidisciplinary approach required to tackle the AMR problem. The programme is designed to help build a strong, active network of new researchers to approach this global challenge in innovative ways. ​The MRF is continuing to seek funds from its supporters and other sources to fund two further cohorts of PhD students in antimicrobial resistance in the future. For more information, please see the MRF website. "This is a great opportunity for Sheffield to build capacity in the area of Antimicrobial Resistance - a key area of focus for the Florey Institute and the Bateson Centre. The students will form a nationwide cohort, strengthening links between Sheffield and AMR researchers across the country." 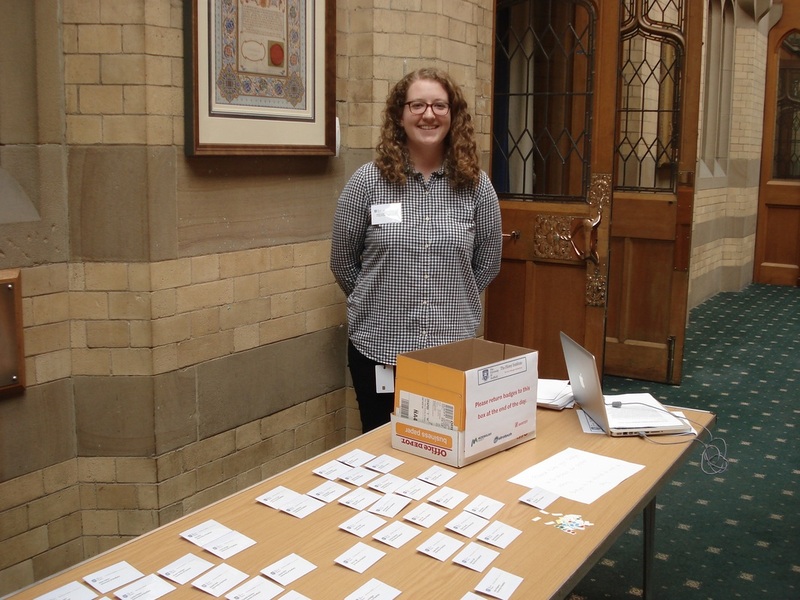 In response to our Microbe Safari in the Winter Garden on 16-17 September, Florey student Emily Fisk was invited to BBC Radio Sheffield to tell their listeners more about the event and to discuss the problem of antimicrobial resistance (AMR). 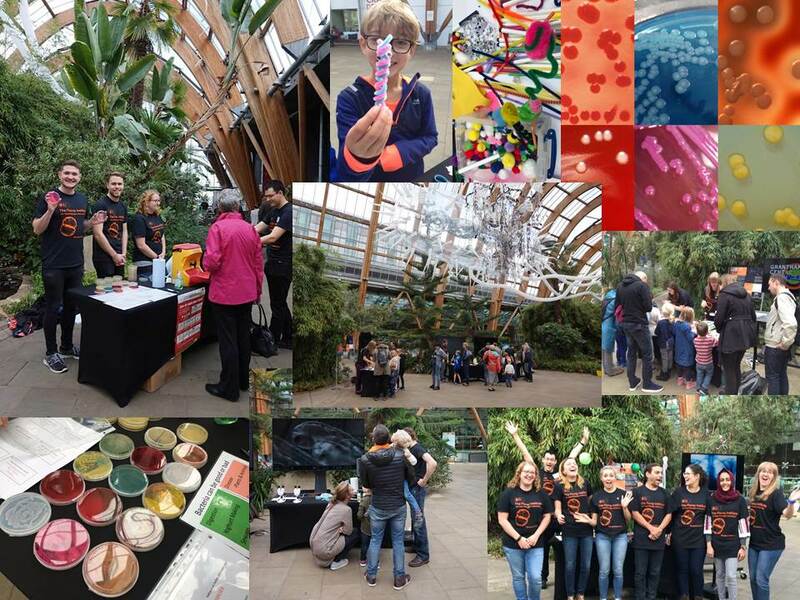 As part of the Florey Institute launch celebrations, our scientists held a public engagement event in the Winter Garden (Sheffield, S1 2LH) last weekend (16-17 September 2017), under the giant inflatable E.coli. With lots of fun, interactive activities on offer, it provided the perfect opportunity for members of the public to learn more about bacteria, infectious disease and the work we do at the Florey Institute. Activities included an opportunity to see how many bacteria grow on your hands. For the results of these experiments, please click on the following link ‘What's growing on YOUR hands’. There was also the chance to see how clean your hands really were with the help of special UV dust! The international team of scientists from the University of Sheffield, the California-based biotech company, AvidBiotics Corp, and the University of Glasgow also found that, when C. diff develops a resistance to these weapons, the bacteria can no longer cause infection, making them harmless. The research, is published today (6 September 2017) in Science Translational Medicine. Artist's impression showing the engineered antimicrobial Avidocin-CD killing a C. diff cell. 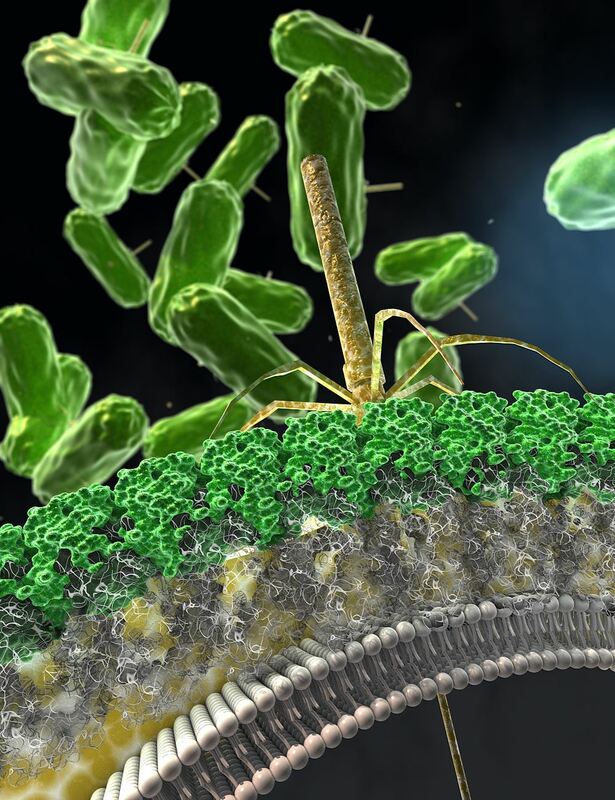 The Avidocin-CD nanomachine has bound to the S-layer (green) on the cell surface and contracted to drive the harpoon-like nanotube core through the cell envelope, killing the bacterium. Image credit: Ella Maru Studio, Inc.
Like many bacteria, C. diff can make a weapon that is able to identify and kill competing C. diff strains. This weapon attaches to the surface of other C. diff cells and fires a harpoon-type needle through their membrane, causing the cell to die. Scientists from AvidBiotics Corp have managed to engineer this weapon so that it can be mass produced in a stable form as a potential treatment or preventative for C. diff infections. Although this set of antimicrobial agents, called Avidocin-CDs, can kill multiple strains of C. diff without impacting other ‘friendly’ bacteria, they were still unsure exactly how these ‘weapons’ identified the different strains of C. diff and why other bacteria were left unharmed. So they teamed up with Dr Robert Fagan from the University of Sheffield’s Department of Molecular Biology and Biotechnology, who is an expert in the crystalline outer layer of C. difficile, known as the S-layer. The team realised that the answer seemed to be linked to different types of S-layer – C. diff strains produce one of 14 possible different types. Dr Fagan said: “We discovered that the weapons naturally produced by C. diff and those engineered by our colleagues at AvidBiotics were using certain proteins in the S-layer to identify which strains to target. Moreover, the team also discovered that by getting rid of its S-layer, C. diff could become resistant to the weapons, but it was then no longer able to produce large quantities of toxin. Dr Gillian Douce at the University of Glasgow was able to show that while these resistant C. diff could still survive and multiply in the gut, they became harmless and no longer caused disease. ﻿Read the full study﻿ in Science Translational Medicine. A whole genome sequencing study of group A Streptococcus isolates, led by Dr Claire Turner (Florey Institute), has revealed the presence of outbreaks within the community. Group A Streptococcus is a human pathogen that causes tonsillitis, pharyngitis and scarlet fever, but on rare occasions it can also cause severe and life-threatening diseases such as necrotising fasciitis (‘flesh-eating’). The potential for this pathogen to cause outbreaks is well known but we do not fully understand routes of transmission or the bacterial population in the community, as only isolates from invasive disease are routinely sent to the diagnostic laboratory. By retrospectively whole genome sequencing 93 isolates from individuals in a defined geographical region, Dr Turner and colleagues were able to identify that although there was a high level of diversity within the population, several closely related clusters could be identified that indicated an outbreak had occurred. Examination of the associated clinical information suggested that these were outbreaks that occurred outside of a healthcare setting i.e. in the community. Whole genome sequencing has the power to provide greater discriminatory power than conventional typing methods and is able to confidently confirm or refute outbreaks. If we are to understand bacterial populations and transmission within the community, this kind of discriminatory power is essential. Only through whole genome sequencing were these potential outbreaks identified . Routine genomic surveillance of pathogens such as group A Streptococcus, would increase the detection of transmission events, alerting us to an outbreak situation and highlight opportunities for intervention. Read the full study in Scientific Reports. A recent study (August 2017) by members of the Florey Institute has identified new potential therapeutic targets in the fight against bloodstream infections caused by Staphylococcus aureus. Such infections can be associated with severe disease and death. The study identified three S. aureus genes (purA, purB and pabA) that are required for growth in human blood as well as disease initiation and development in the zebrafish embryo and mouse infection models. purA and purB code for enzymes in the purine biosynthesis pathways, whilst pabA is required to make the vitamin, folate. Further work focussed on why the S. aureus pabA mutant was specifically unable to grow in human blood. Folate is necessary for bacterial growth and survival as it enables DNA to be synthesised, but when folate is reduced such as in this mutant, or in clinical practice by the use of certain antibiotics, then the bacteria cleverly uses contingency pathways to allow DNA synthesis to continue. Interestingly our researchers found that human blood (yet not blood from other mammals) sabotages the use of these extra pathways which not only contributes to our understanding of anti-folate antibiotics e.g. trimethoprim, but also reveals new targets for future strategies to control S. aureus disease. Read the full study in Infection and Immunity (IAI). Study identifies new way to prevent deadly fungal infection spreading to the brain. 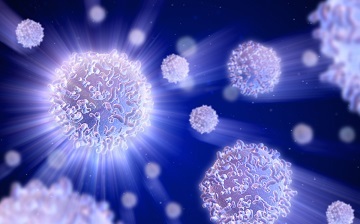 Research at the University of Sheffield has identified how the behaviour of an infection can be changed to prevent serious disease. Cryptococcus neoformans is one of the most significant infections associated with HIV/AIDS. Infection with Cryptococcus causes hundreds of thousands of deaths each year worldwide and can also cause disease in people with impaired immune systems, such as solid transplant patients. Using models of human fungal infection in zebrafish, Dr Simon Johnston (Florey Institute and Bateson Centre) and colleagues have discovered that the behaviour of Cryptococcus can be altered so it cannot spread within the body. He added: “This research is important because it identifies alternatives to antibiotic treatment for infectious disease. We are using the zebrafish as a model of human immunity to understand how infections can be prevented and treated, especially in people who have damaged immune systems. This research gives us a better understanding of how infections cause disease and will enable us to better pursue alternatives to antibiotic treatment”. The findings of the study, carried out in collaboration with the Universities of Dundee and Manchester in the UK, as well as the University of Leuven in Belgium and Harvard Medical School in the US, are published in the journal Science Advances (August 2017). Professor Stephen Renshaw, Director of the University’s Bateson Centre, added: "This research highlights how the zebrafish model can allow new insights into human disease. Ultimately, this will lead to much needed treatments for fungal disease." 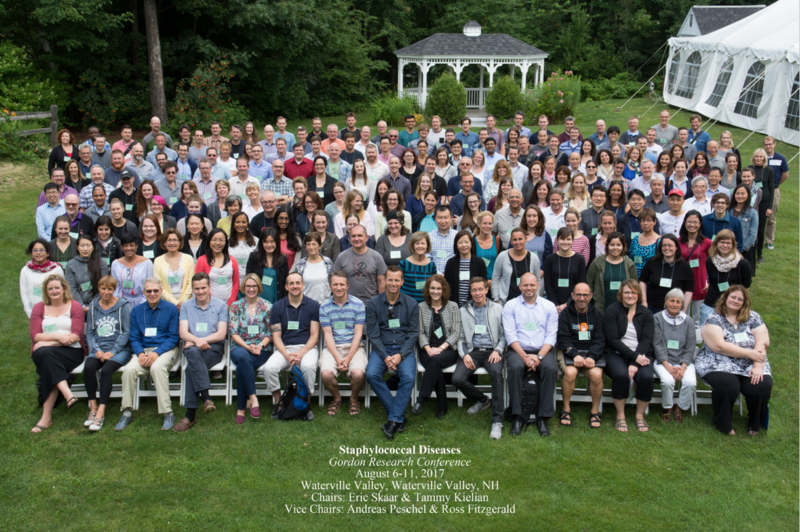 Simon Foster, Emma Boldock, Kyle Buchan, Daria Shamarina and Viral Panchal recently attended the 2017 Staphylococcal Diseases Gordon Research Conference (GRC) and its associated Gordon Research Seminar (GRS) in New Hampshire, USA (5-11 Aug 17) which brings together the world's leading staphylococcal investigators - covering all aspects of staphylococcal biology and its relationship to disease. It was the third meeting of the GRS, the specific purpose of which is to promote the development of promising young investigators in the field. Emma was selected from her poster at the GRS to give an oral presentation at the GRC. Her presentation was entitled ‘Microbial Crowdsourcing: Human commensals augment S. aureus pathogenesis‘. 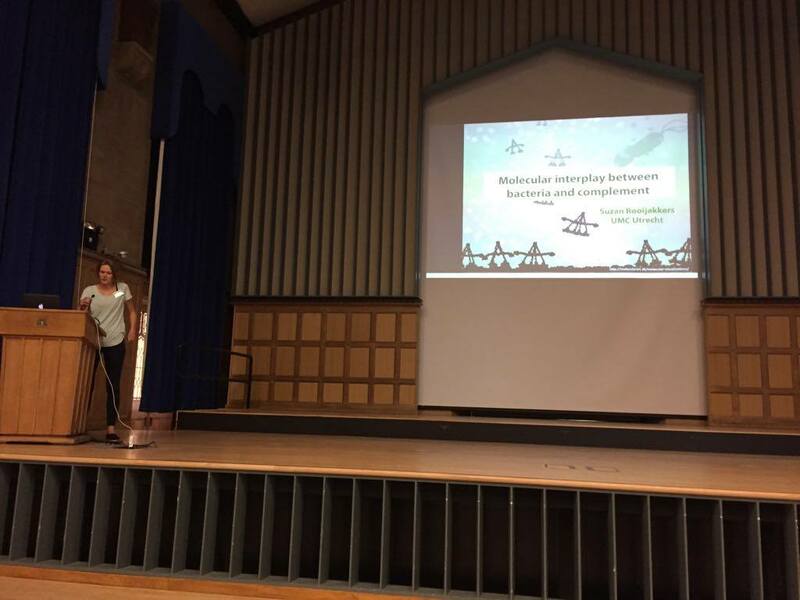 "This provided a fantastic opportunity to present my work in such a prestigious forum and allowed me to engage with experts in the field to discuss my future research plans. It was great to get back up to speed with cutting edge research in the Staph field, especially as I’ve been doing clinical work since completing my PhD last year. I’m grateful for my NIHR Academic Clinical Lecturer Travel Grant which enabled me to attend these two events." Kyle gave an oral and poster presentation at the GRS entitled ‘Building a humanised C5a receptor model of Staphylococcus aureus infection’ where he explained why current in vivo Staphylococcus models are limiting our understanding of certain aspects of infection. 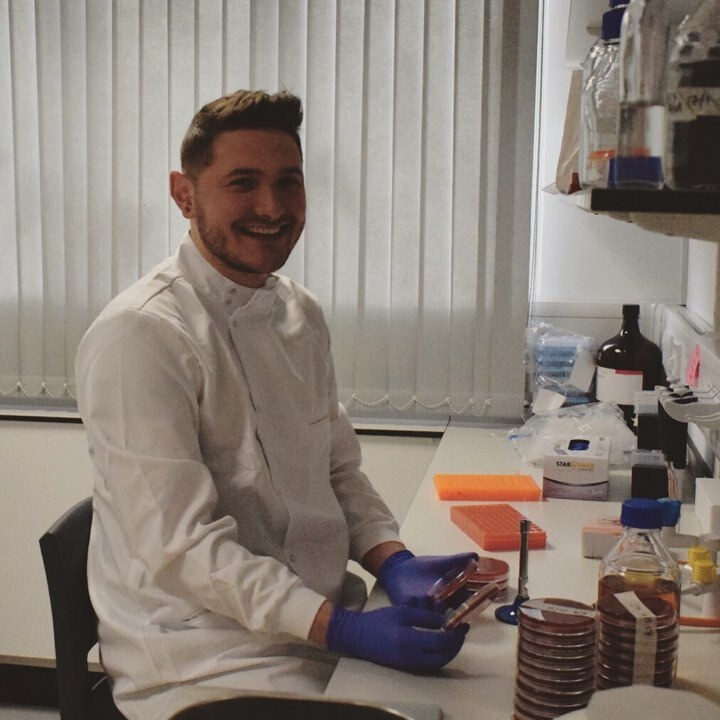 By proposing use of a humanised zebrafish as a new model for investigating infection, Kyle hopes to be able to visualise how Staphylococcus can interact with neutrophils. Daria presented a poster entitled ‘Human commensals augment Staphylococcus aureus pathogenesis’. “I had the opportunity of getting to speak at the two-day research seminar that happens before the main conference begins. This was primarily postgrad and postdoc-led, and made a nice change in atmosphere from normal conferences; it felt more relaxed and I think people were more comfortable approaching and getting to know each other in the beginning. This was especially useful during the main conference, as you had people to speak to when the atmosphere became more serious”. "Overall it was a rewarding experience given that I had the opportunity to discuss my research with some of the leaders in the field and gain feedback on my data. The conference also provided a friendly platform to meet other scientists from the same research area." New research (August 17) from the University of Sheffield’s Department of Animal and Plant Sciences has found that bacterial plasmids readily pick up new genes and spread them to new species – something which is an increasing concern for transfer of antibiotic resistance between bacterial species. Plasmids, circular molecules of DNA which can copy themselves between neighbouring bacteria, can be beneficial to bacteria when they carry useful genes, but where the genes they carry aren’t useful, plasmids are often burdensome, acting a bit like parasites as they spread between bacteria. In the study, published in Nature Ecology and Evolution, the Sheffield team in collaboration with scientists from the Universities of York and Liverpool, set up bacterial populations in soil ‘microcosms’. These consisted of a small volume of soil inoculated with bacteria carrying a plasmid that was beneficial in the presence of mercury. By adding small amounts of mercury, the researchers could control whether the plasmid was beneficial or parasitic. The researchers allowed the bacteria and plasmids to evolve under these conditions for hundreds of generations, before sequencing their genomes. Dr Jamie Hall, lead researcher on the study from the University of Sheffield, said: “We were really surprised by the sequencing results. Our research shows that bacteria can evolve rapidly, particularly by picking up genes from their neighbours. “In several populations the plasmid had picked up genes from one species and spread them to another. We knew this could happen but we weren’t expecting to see so much of it. Most interestingly, the plasmid was best at picking up genes and transferring them between species when it acted like a parasite. Bacterial evolution, particularly resistance to antibiotics, is an emerging public health threat. Plasmids can also pick up and transfer antibiotic resistance genes, so the results of this study indicate concern for places like hospital plumbing and waste-water treatment plants which may provide opportunities for plasmids to move genes between species. View the paper in full. Enterococcus faecalis is frequently responsible for causing hospital-acquired infections such as urinary tract infections, heart valve infections and bacteraemia; however scientists currently have a poor understanding of how this happens. A recent study (July 17) led by scientists at the Florey Institute investigated how the hospital superbug, commonly found in the digestive tracts of humans and multi-resistant to antibiotics, can out-compete other microorganisms and cause life-threatening infections. The team found several complex mechanisms controlling the maintenance of the distinctive shape of E. faecalis that forms cell pairs or short chains of cells. The research has revealed that the formation of short chains of cells is a crucial factor in stopping bacteria being recognised as a threat by the immune system, thus enabling the infection to spread. Dr Stéphane Mesnage (Department of Molecular Biology and Biotechnology), who led the research from the University of Sheffield, said: “Our study shows that the formation of short chains of cells by E. faecalis is a critical step for causing an infection. Bacteria that form long chains of cells are efficiently recognised and engulfed by the host immune system, whereas short chains of cells can evade host immune cells and spread in the host to cause infection. This research was published in PLOS Pathogens: Bacterial size matters: Multiple mechanisms controlling septum cleavage and diplococcus formation are critical for the virulence of the opportunistic pathogen Enterococcus faecalis. Antibiotic Resistance - gaining resistance is just the start. Scientists from the University of Sheffield have, in collaboration with scientists at the University of York, discovered that bacteria are able to “fine-tune” their resistance to antibiotics – raising the possibility that some superbugs may become resistant to drugs which they have never even been in contact with. Bacteria can become resistant to antibiotics in several ways. One really fast and effective way is by gaining extra DNA, called a plasmid, from other bacteria providing bacteria with the genes needed to become resistant to specific antibiotics. Using a technique called experimental evolution, scientists from the Universities of York and Sheffield, controlled the environment the E. coli were exposed to and allowed them to grow and evolve. Over 80 days (about 530 generations) the bacteria were exposed to an antibiotic, first they gained additional resistance mutations themselves, but this meant that the resistance provided by the plasmid was now somewhat redundant and could therefore be tuned down. This produced a plasmid and host that were now dependent upon each other when exposed to this antibiotic. The giant inflatable E.coli sculpture (originally created for KrebsFest) has returned to the Winter Garden (S1 2LH) to celebrate the official launch of the Florey Institute. The sculpture, created by artist Luke Jerram, is five million times bigger than a real E.coli measuring 28 metres long. The bacterium has been scaled up to such a size that if a person standing next to it was expanded to the same extent they would be about 9,000 km tall – the equivalent of 5,592 miles; the distance from the UK to Japan. On 19-20 September 2017, the Florey Institute, in partnership with the Sheffield Antimicrobial Resistance Network (SHAMROK, www.shamrok.org) which is funded by the Engineering and Physical Sciences Research Council (EPSRC), are jointly hosting a 2 day symposium ‘The Drugs Don’t Work’ in the Diamond which will highlight recent advances in bacterial pathogenesis and host-pathogen interactions. The symposium, along with the reinstallation of the inflatable E.Coli (through generous funding from the EPSRC) and a weekend of fun family activities on 16-17 September in the Winter Garden, form a collective programme of events to celebrate the official launch of this flagship University of Sheffield initiative. Staphylococcus aureus, and antibiotic resistant strains such as Methicillin Resistant S. aureus (MRSA), cause significant death and disease around the world. There is a constant need to develop new control regimes as S. aureus has begun to show resistance even to new antibiotics such as linezolid. To win this battle we must not only produce new treatments and preventative measures but also understand the complexities of how S. aureus can cause disease and thus how interventions can be best utilised, to reduce the disease burden and to minimise the development and spread of resistance to antibiotics. Researchers at the Florey Institute previously made the astonishing discovery that relatively harmless skin organisms and even their component cell walls ("pro-infectious agents") are able to cause significant exacerbation of S. aureus infection, allowing disease to occur with a hugely reduced infectious dose. Following on from this discovery, Professor Simon Foster and Professor Steve Renshaw (Florey Institute, University of Sheffield) have been awarded £703,187 from the Medical Research Council to understand how S. aureus infection is initiated, the nature of material and organisms that can act as pro-infectious agents, how infection progresses and how such knowledge may be utilized to prevent and/or cure disease. As this complex process cannot be recapitulated in vitro without an understanding of what happens in vivo, a unique vertebrate zebrafish embryo model of S. aureus systemic disease will be used to provide a high-throughput, genetically tractable system where host:pathogen interaction can be observed in a living host. The importance of this model is that it not only provides important insights into pathogenesis but it also informs our use of a mammalian system, reducing the numbers of mammals used and refining our approach. Applying an interdisciplinary approach, using a combination of animal models together with in vitro analysis to determine the breadth of material that can augment S. aureus infection and the cellular and molecular mechanisms underlying this effect, infection can be mapped from initiation to endpoint to identify bottlenecks as sites for the development of novel intervention strategies. Dr Emma Boldock (NIHR Academic Clinical Lecturer in Microbiology, Department of Infection, Immunity and Cardiovascular Disease) was recently (May 17) awarded £6,730 from the Sheffield Hospitals Charity (SHC) Research Funds for Small Grants 2017 to investigate the efficacy of antibacterial skin washes in reducing Staphylococcus aureus infections associated with peripheral cannulae. Insertion of peripheral cannulae (to administer medication or fluids, or allow sampling of blood) breaches the integrity of the skin and thus exposes patients to the risk of infection. Working together with co-applicants Dr Dave Partridge, Dr Helena Parsons, Dr Gayti Morris and Prof Simon Foster, the funding will support an initial feasibility study. A very warm welcome to Lingyuan Kong who recently (July 17) joined Simon Foster’s laboratory for a one year secondment. Lingyuan is a PhD student from Xiamen University who is studying two-component transduction systems (TCS) in pathogens; in particular a TCS called WalKR (YycGF) which is essential for bacteria viability, helping bacteria respond to stress and reportedly controlling several cellular processes such as cell division, exopolysaccharide biosynthesis and biofilm formation. Evidence suggests that WalK can localize to the cell division septum, interacting with several members of the divisome in Bacillus subtilis. Whilst in Sheffield, Lingyuan will use established methods in Simon's laboratory to better understand the function of WalKR and other protein components involved in bacterial cell division, with the aim of exploiting these findings to develop new prevention strategies against antibiotic resistant pathogens. Congratulations to Furaha Asani, one of our first Florey students, who has recently (July 17) been awarded a Higher Education Academy Fellowship as part of the Learning and Teaching Professional Recognition Scheme at the University of Sheffield, in accordance with the UK Professional Standards Framework. Furaha was awarded full fellowship through her work as a study skills tutor at the 301 Student Skills and Development Centre at the University of Sheffield, and her previous work as a laboratory demonstrator and tutor at the Department of Biochemistry, University of Johannesburg. Prof. Per Bullough (Imagine:Imaging Life) and Dr. Robert Fagan (Florey Institute) were recently (May 2017) awarded a £567,668 grant from the Biotechnology and Biological Sciences Research Council (BBSRC) to explore the “Structure and interactions of the Clostridium difficile S-layer with bacteriocins”. The project will use advanced imaging techniques to visualise the struture, including use of the new cryo-electron microscope funded through the Imagine programme. Clostridium difficile (C. difficile) is the most frequent cause of hospital acquired infection across Europe; it is highly antibiotic resistant. There is an urgent clinical need for antimicrobials that kill C. difficile without disruption to other gut bacteria. This project aims to characterise the structure and interactions of the outermost surface of the bacterium with an innovative new type of therapeutic called an Avidocin. Avidocins are virus-like particles that target the outer surface of the bacterial cell to kill this important pathogen. Macrophages are essential for host defence due to their capacity to phagocytose and subsequently kill ingested micro-organisms. A recent publication (30 May 2017) by Florey researchers based in the Department of Infection, Immunity and Cardiovascular Disease (Bewley et al 2017) has revealed that alveolar macrophages from Chronic Obstructive Pulmonary Disease (COPD) patients are less able to clear intracellular bacteria, compared to cells from healthy donors. COPD, an umbrella term for conditions such as emphysema and chronic bronchitis, is a chronic inflammatory condition characterised by persistent airflow limitation that is usually progressive. Exacerbations of the disease (an acute worsening of symptoms) are commonly caused by bacterial infections such as Streptococcus pneumoniae. These acute episodes are associated with worsening symptoms (e.g. breathlessness and sputum production) and can lead to increased morbidity and mortality. The present study demonstrated a selective reduction of delayed intracellular bacterial killing in alveolar macrophages from COPD patients exposed to opsonized serotype 14 Streptococcus pneumoniae, as well as elevated levels of the anti-apoptotic protein Mcl-1. In further experiments, a failure to enhance mitochondrial reactive oxygen species (mROS), despite elevated basal levels of mROS, was also noted in response to pneumococcal challenge. Interestingly, the impaired clearance was also observed in a transgenic mouse model with macrophage specific expression of human Mcl-1 (CD68.hMcl-1). The Mcl-1 transgene similarly increased oxygen consumption rates and mROS expression in mock-infected Murine bone marrow-derived macrophages (BMDM) but reduced caspase-dependent mROS production after pneumococcal challenge. These results indicate that an upregulation of Mcl-1 and a chronic adaption to oxidative stress can alter mitochondrial metabolism and microbicidal function. The defect in bacterial clearance observed in this study may help to promote the survival of intracellular bacteria in alveolar macrophages in COPD resulting in a prolonged inflammatory response and potentially contributing to the chronic inflammation that is a hallmark of this disease. Professors Simon Foster (Florey Institute co-ordinator) and Jamie Hobbs recently (13-19 May 17) visited Xiamen University and the Southern University of Science and Technology (SUSTech) University in China to further develop research links with Sheffield, and discuss overseas recruitment of both PhD and MSc students. During their stay in Xiamen, they attended a specially organised international symposium on 'Advances in Research on Bacterial Antibiotic Resistance' where Prof Hobbs gave the opening talk 'Atomic force microscopy for studying the biophysics of bacteria' and Prof Foster opened the afternoon session with 'Staphylococcus aureus: A super bug!'. During their visit they were able to discuss the impact of AMR in China and how to tackle the growing threat by forging and growing international collaborations. Indeed, as an example of our ongoing partnership with Xiamen we look forward to welcoming Linguan Kong, a PhD student in Professor Aidong Han's lab, to Sheffield for a one year secondment in the next few weeks. In SUSTech, Prof Foster and Prof Hobbs gave researcher seminars and explained the ethos behind the Florey and Imagine: Imaging Life strategic initiatives here at Sheffield. In addition they were able to meet with Professor Tao Tang (Vice President for Research) and other senior colleagues to discuss future collaborative avenues. Having been overwhelmed by the hospitality of our Chinese colleagues, the magnitude of their research facilities and the extent of our overlapping research interests, we are excited by the prospect of future collaborations and hope the visit will further strengthen our existing well-established links with China ( https://www.sheffield.ac.uk/global/china). With thanks to Official Development Assistance (ODA) funding (through the Newton Fund), Professor Aidong Han (Xiamen University) and Professor Kenneth Bayles (University of Nebraska Medical Center) visited Sheffield on 12 May 17 to take part in a focused microbiology workshop. Professor Han gave a fascinating talk on cellular signalling through two-component systems in response to extracellular stimuli in bacteria, with a focus on the multifaceted roles of histidine kinase – a intriguing protein with both kinase and phosphatase activity. Prof Bayles, a partner in our Global Strategic Alliance, followed with the provocatively entitled talk ‘Staphylococcus aureus: a complex developmental organism’. With a focus on programmed cell death in bacteria and analogies to apoptosis in eukaryotes and plants it was a brilliant summary of many years of research. His observations on the similarities between bacterial growth in biofilms and cancer metastases provided a thought provoking conclusion to the workshop. Professor Simon Foster has received funding (May 17) from the 2016 MRC-KHIDI UK-Korea Partnering Awards scheme, which aims to provide resources to biomedical and health researchers in the UK and Korea to enable them to forge long-term collaborations. The award will help to strengthen existing links between Sheffield and the Pusan National University in Korea by enabling Prof. Lee Bok Luel and colleagues to visit Sheffield later in the year. The visit will coincide with the Florey Institute launch symposium ‘The Drugs Don’t Work’ in September and will also support a focused workshop on bacterial cell wall and immune system interactions. Dr Robert Fagan (Department of Molecular Biology and Biotechnology, and member of the Florey Institute) has been awarded a £1.2M Wellcome Trust Collaborative Award to study the hospital 'superbug' Clostridium difficile. This is a collaborative project with Dr Gillian Douce (University of Glasgow) and Dr Paula Salgado (Newcastle University). The bacterium is known to affect patients who have recently been treated with antibiotics. It can affect the bowel, causing severe diarrhoea and inflammation, and can easily spread to others. Dr Fagan studies the C. difficile S-layer, a crystalline protein shell covering the surface of the bacterium. In previous studies, his research group has shown that the S-layer is crucial for pathogenicity, but little is known about how the bacteria assemble this crystal armour or how it contributes to disease. By working together with cutting-edge structural biologists in Newcastle and world leaders in C. difficile infection modelling in Glasgow, Dr Fagan and colleagues hope to find new ways of tackling this highly antibiotic-resistant bacterium in the clinic. Dr Fagan will use molecular biology techniques to determine the function of the S-layer in combination with high resolution microscopy techniques (Imagine:Imaging Life) to visualise its structure and organisation in the cell. "By studying the C. difficile S-layer we hope to identify weaknesses in this superbug's armour and find new ways to fight infection. It is hugely exciting to be able to work at the interface of different scientific disciplines, combining our expertise to make advances that just wouldn't be possible working in isolation." The Sheffield Centre for Antimicrobial Resistance and Biofilms (SCARAB) has been awarded a £700,000 Innovate UK grant to equip a new laboratory which will allow scientists to study biofilms. Biofilms can lead to chronic infections and increasing levels of resistance to routine antibiotics. Biofilm formation is very hard to treat and can lead to permanent open sores in elderly and diabetic patients. Chronic, unhealed wounds are not only unpleasant for the patient but very expensive to treat – costing the NHS around £1 billion per year. There is currently nowhere in the UK that has the expertise and equipment to study long-term biofilm formation in models of different tissues. The new centre, led by directors Professor Pete Monk (Infection, Immunity and Cardiovascular Disease) and Dr Esther Karunakaran (Chemical and Biological Engineering) will bring leading doctors, scientists and engineers together to find new ways of fighting biofilm formation. Pharmaceutical companies and NHS researchers will be invited to contribute new ways of testing their therapies in infected tissues. This will pave the way for the faster development of urgently needed therapies for chronic infections in the growing numbers of elderly and diabetic patients in the UK. Dr Andrew Fenton, who recently joined the Florey Institute, moving from Harvard University in the USA, has published research that has identified a part of the bacterial machinery that, if compromised, could offer a potential new target for novel anti-bacterial drugs. Dr Fenton carried out research at Harvard, with Professors David Rudner and Thomas Bernhardt, to find out how the bacterium Streptococcus pneumoniae, which causes pneumonia and meningitis, controls the structure of its cell wall. When the team looked beyond S. pneumoniae, they found that proteins like CozE are also found in other, different kinds of bacteria. This suggests that these proteins have an important function across all bacterial species. Bake sale raises funds for European Antibiotics Awareness Day. The Florey Institute and the Sheffield Antimicrobial Resistance Network (SHAMROK) raised over £150 from a charity bake sale held in the Kreb's room (Firth Court) on Friday 18th November - European Antibiotics Awareness Day. Thank you to all the bakers who donated some amazing cakes (including a couple of superbug themed cakes!) and to Florey student Emily Fisk and Hannah Southam for organising the event. Antibiotic Research UK (registered charity no. 1157884) is the world’s first charity dedicated to funding research into new antibiotics. It was founded in 2014 by leading scientists and clinicians to tackle the antibiotic research challenge. Over the next five years, Antibiotic Research UK aims to raise sufficient funds to bring at least one new antibiotic therapy to market by the early 2020’s. The charity also works to support the better use and reporting of existing antibiotics by clinicians and patients through government lobbying. In 2016, Antibiotic Research UK funded its first research project on finding new Antibiotic Resistance Breakers. In 2017, the charity needs to raise £550,000 to fund its mission. Defenition Limited, a spin-out company from the University of Sheffield founded in May 2016, has agreed funding of up to £415,000 from IP Group plc, the developer of intellectual property-based businesses, to support the vital development of a new class of antibiotics. The company’s initial focus will be on bacteria that the US Centers for Disease Control and Prevention view as the biggest drug-resistant threats. Defenition will commercialise and enhance world-leading research on flap endonucleases (FENs) – a group of bacterial enzymes that are vital for bacterial cell growth due to their essential role in DNA replication – conducted by Professor Jon Sayers from the University of Sheffield’s Department of Infection, Immunity & Cardiovascular Disease. Using its own screening platform, Defenition is identifying small molecule inhibitors of FENs which is a novel approach to tackling highly drug-resistant bacteria in a targeted manner with a reduced likelihood of developing resistance. "Increasing resistance to antimicrobials is frequently cited as one of the biggest threats to human health. We have formed Defenition to address this critical need for new antibiotics. We have an exciting plan to target FENs, a new antibacterial target, that we believe will transform the treatment of highly resistant bacterial infections". Could you explain your PhD research in a pub? Florey PhD student Emily Fisk and Devon Smith (from the Department of Psychology, University of Sheffield) have set up the Sheffield branch of PubhD - a novel concept that started in Nottingham a couple of years ago. PubhD is a great way for PhD students to practice public speaking and public engagement skills - in the relaxed atmosphere of a pub! In exchange for a pint (or two), three researchers get 10 minutes to explain their research (with only the aid of a white board and marker pen). There's then 20 minutes of friendly Q&A. The talks are designed to be understood by anyone, and provide a great opportunity to learn about research going on in the city, and learn about something you might have never heard of! The idea has already received attention from the local press (Sheffield Star “Two pints of lager and a PhD talk please”). Emily will get an opportunity to explain her research at the first PubhD event, taking place on Wednesday 2nd November at Harrison’s 1854 Bar on Regent Terrace (7pm start). Students from the University of Sheffield are building a new tool which could help doctors make a more informed choice as to whether or not to prescribe antibiotics. The plans are being showcased at iGEM 2016 (on 27 - 31 October 2016) – a leading international competition held in Boston, USA. The Sheffield students hope that the device could used in GP surgeries or walk-in centres to determine whether patients with flu-like symptoms had a bacterial or non-bacterial infection. This could potentially help to tackle antibiotic resistance by reducing the number of patients with viral infections being prescribed antibiotics. The diagnostic tool uses genetically engineered bacteria to detect the presence of bacteria in a patient’s blood sample by detecting lipocalin, a protein that is produced in high levels by cells of the immune system in response to bacterial infections. Florey researchers recently attended the 17th International Symposium on Staphylococci and Staphylococcal Infections (ISSSI, 30 Aug – 02 Sep 16) held in Seoul, South Korea. Florey co-ordinator, Prof. Simon Foster gave a presentation entitled 'S. aureus infection dynamics'. Third Year Florey PhD student Benjamin Christmas also gave an oral presentation on ‘Response of intracellular Staphylococcus aureus to the redox environment of host cells’. ISSSI is the foremost conference for staphylococcal research and is held every two years in different location around the world. The British Association for Lung Research (BALR) Summer Meeting this year (27-29 July 16) was organised by Florey members Dr. Helen Marriott and Prof. Colin Bingle, with a focus on Host-Pathogen Interactions (the title for the event was "Fight the good fight: Host-pathogen interactions in the lung"). 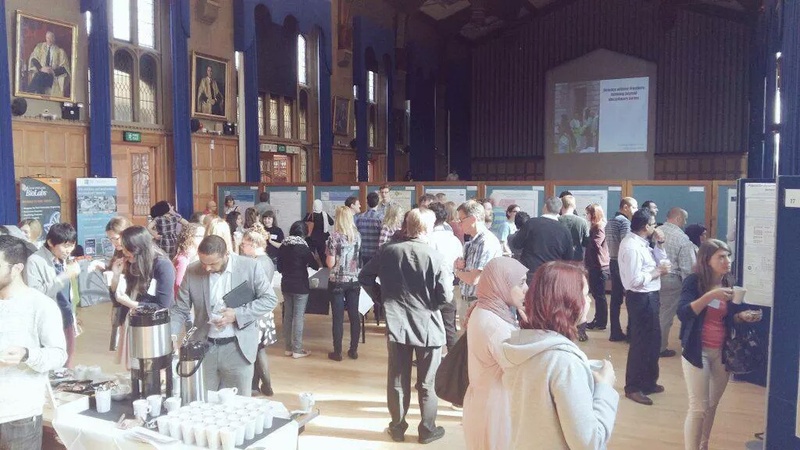 Speakers from across the globe came to Sheffield to share their research, with attendees from US and European Universities, as well as UK governing institutes, such as Public Health England. Topics ranged from bacterial, fungal and viral infections of the lung, to potential therapeutics and clinical quick thinking - for example what happens in a disease outbreak! 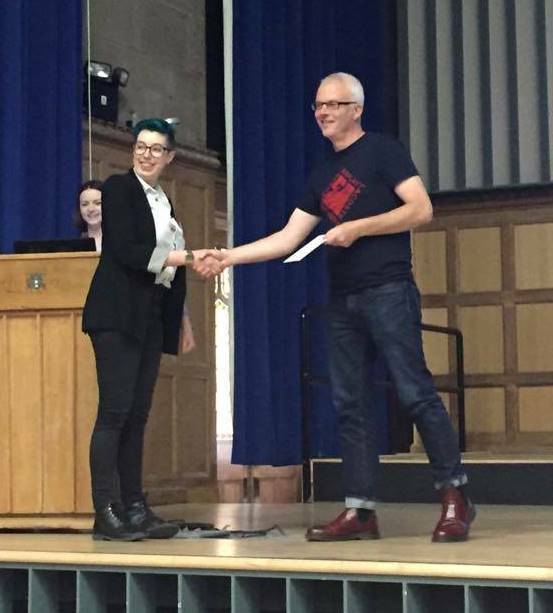 Congratulations to Florey student Emily Fisk who was recently awarded (July 16) Associate Fellow of the Higher Education Academy (AFHEA) status through the Learning and Teaching Professional Recognition Scheme at the University of Sheffield, in accordance with the UK Professional Standards Framework. The Higher Education Academy (HEA) is the national body which champions teaching quality as part of the student learning experience in higher education. Fellowships of the HEA are awarded to individuals in recognition of their teaching commitments. Emily was awarded an Associate Fellowship through her combined work as an undergraduate Faculty Module Facilitator and her involvement in a collaborative project which examined the educational needs of PGRs carrying out the Literature Review module within the University of Sheffield Medical School. Bacterial skin infections (such as bed sores and ulcers) are a major problem for older people and people with chronic health conditions, such as diabetes. Infected wounds heal more slowly, causing pain and distress for the patient, and are a significant cost to the NHS in the UK. A new treatment to prevent skin wounds becoming infected has been developed by researchers at the University of Sheffield, and funded by Age UK. Excitingly, this treatment has also been proven to work on antibiotic-resistant bacteria, such as MRSA. To launch an infection, bacteria attach tightly to skin cells and have learned to hijack ‘sticky patches’ on human cells to achieve this. Using proteins called tetraspanins, from human cells, the Sheffield scientists have made these patches much less sticky, allowing bacteria to be harmlessly washed away. Unlike conventional antibiotics, the tetraspanin proteins do not directly kill bacteria and so do not encourage the evolution of resistance. This treatment was trialled on a model of 3D tissue engineered skin (TEskin) developed by engineers at the University. The engineered skin, pioneered by Professor Sheila MacNeil from the University’s Department of Materials Science and Engineering, can model infected wounds in human skin and mimics the tissue structure of normal adult skin. Now, with substantial research funding from the Humane Research Trust, Sheffield scientists are developing the proteins for new anti-bacterial dressings that will help keep wounds sterile and so promote more rapid healing. "This research is a new way to fight bacteria that does not add to antibiotic resistance. Rather than try to kill bacteria, this approach uses a knowledge of how they normally attach to skin cells to reduce their ability to attach." The research Peptides from Tetraspanin CD9 Are Potent Inhibitors of Staphylococcus Aureus Adherence to Keratinocytes was published in the journal PLOSOne on 29 July 2016. New Imagine:Imaging Life recruit, Dr William Durham, recently delivered an invited presentation at the EuroScience ﻿Open Forum (ESOF) in a session on antibiotic resistance. His talk highlighted recent work by his group that shows that bacteria in surface attached biofilms can actively sense and navigate chemical gradients by pulling themselves along using tiny "grappling hooks” called pili. Because biofilms are strongly associated with antibiotic resistance, this discovery offers new way to manipulate and potentially disrupt recalcitrant clinical infections. His session was organized by the European Research Council. 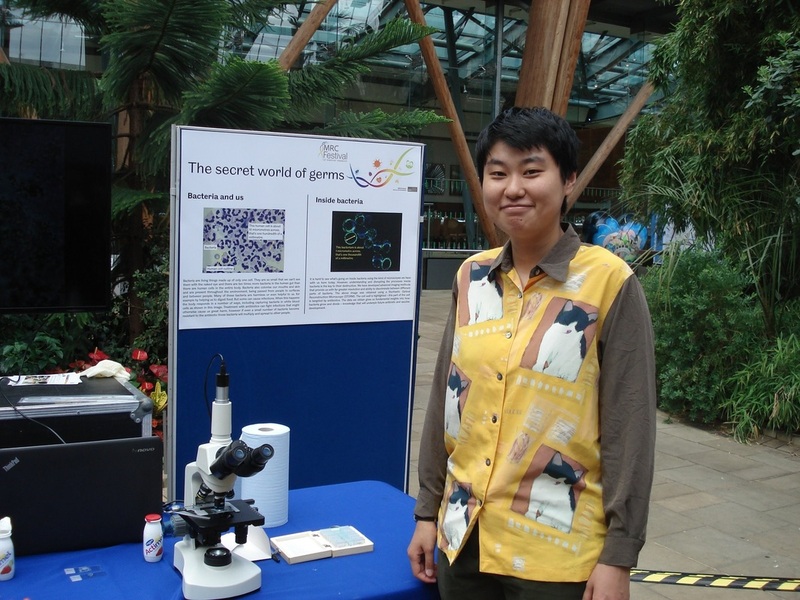 On the last Saturday of June (25 June 16), the Medical Research Council held a public engagement event in the Winter Gardens in Sheffield. The aim was to show how the latest medical research at the University of Sheffield is improving people's lives. The Florey students, together with other members of Professor Simon Foster’s lab, helped to run activities on the theme of “The secret world of germs”. To introduce the concept of cell size and structure, the students prepared a range of microscope slides including human blood cells and onion skin. To help explain the idea of “the benefits of good germs” and “the clinical problem of bad germs”, the students showed children slides of fluorescently stained MRSA, and slides of yogurt cultures that were prepared at the venue. As well as engaging with the children, there were also opportunities to talk to the public about current research projects such as how human neutrophils can help to fight infection. Dingyi (April) Yang presenting her research on the human neutrophil response against Staphylococcus aureus at the MRC Festival. Congratulations to our Florey students who hosted another successful symposium last Friday (24th June 2016). The ﻿presentations﻿ provided a fascinating insight into some of the different pathogenesis and survival mechanisms utilised by a range of different bacteria, and how our immune systems can respond to infection. Thank you to everyone who took part, in particular our keynote speakers, Dr Suzan Rooijakkers, Dr Neil Stokes and Dr Hasan Yesilkaya who also shared some interesting reflections on different career paths within the science sector. Congratulations also to our prize winners! who made the day possible! Congratulations to the Public Engagement and Impact team who were highly commended in the Public Engagement and Advocacy category at the Association of Research Managers and Administrators (ARMA) awards held last night (Tuesday 7 June 2016), for the hugely successful project, KrebsFest which celebrated the life and work of our Nobel Prize winning academic Sir Hans Krebs. "This nomination is thoroughly deserved. 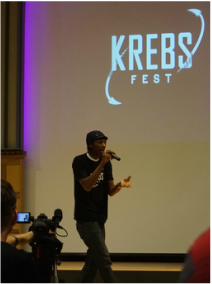 The advice, guidance and support the team provided for KrebsFest was invaluable to the overall success and delivery of the festival". 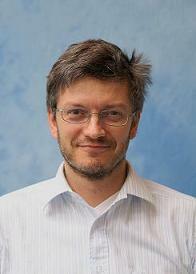 Professor Simon Foster, Florey co-ordinator, who nominated the team for the ARMA award. New research by Professor Jon Sayers and colleagues at the University of Sheffield has revealed how branched DNA molecules (mentioned in many episodes of the X-Files) are removed from the double helical structure by Flap EndoNuclease enzymes (FENs) after cells have divided. The team captured never-before-seen snapshots of the molecular events in incredible detail. Results of the pioneering study were published today (Monday 6 June 2016) in Nature Structural & Molecular Biology. £3.5m funding boost to investigate new ways to combat antimicrobial resistance with super white blood cells. The SHIELD Consortium led by the University of Sheffield with partners from Edinburgh, Birmingham and Newcastle universities will look at developing therapies within the body to kill harmful bacteria. Current work has focused on developing new antibiotics that fight bacteria but an increasing number of bacteria are becoming resistant to these drugs. Instead, the team want to increase the body’s own response in combating these bacteria by enhancing the capacity of phagocytes - a special type of white blood cell that eat and kill bacteria. The team aim to enhance how these cells kill bacteria while limiting the generation of harmful inflammation. The funding is part of a £9.5m funding package announced today (Thursday 19 May 2016) by the Medical Research Council (MRC) as part of a cross-council initiative to tackle antimicrobial resistance (AMR). The University of Bristol has received £2.2m for a project looking at the potential to develop new types of antibiotics from fungi and the University of Leeds has been awarded £3.8m to develop a new tool that can be used by doctors to detect the presence of a bacterial or viral infection quickly before antibiotics are prescribed to stop their unnecessary use. The awards together mark one of the biggest investments into AMR since the initiative launched and will use new technology to exploit natural compounds, develop a tool to offer better and faster diagnostics and explore how the body’s own immune system can be boosted to fight infection. The world is facing an increase in the number and type of bacteria resistant to antibiotics alongside stagnation in the development of new antibiotics or viable alternatives. It is clear that an interdisciplinary approach at a global level is needed to tackle the challenge in order to save millions of lives being lost as a result of antibiotic-resistant bacteria. The MRC has been working with the other research councils that form Research Councils UK to identify research opportunities that cross disciplines to help tackle the rise in AMR. The latest round of awards have been funded by the MRC, Biotechnology and Biological Sciences Research Council (BBSRC), Economic and Physical Social Research Council (EPSRC) and Economic and Social Research Council (ESRC) through the AMR cross-council initiative, as part of a strategic and co-ordinated effort to address the growing problem head on. 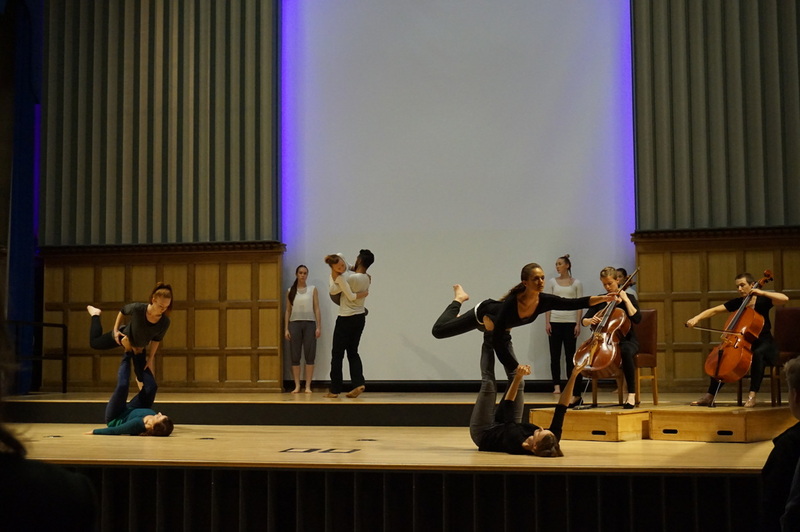 Florey researchers recently took part in ﻿Life Festival﻿ - a celebration of the innovative medicine, dentistry and health research taking place in Sheffield. Events ranged from pub quizes on Sheffield's infectious history to learning about the bacteria that grow at the back of your nose. Please see our ﻿﻿gallery of Life Festival images﻿﻿ to find out more about this exciting event! A very warm welcome to student, Astrid Hendriks, who recently (07 March 16) joined Simon Foster’s laboratory for a 6 month secondment. 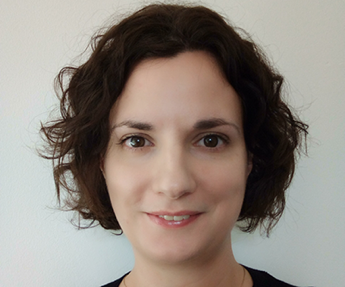 Astrid is a Masters student (with an Erasmus grant) in an Infection and Immunity programme from the Graduate School of Life Sciences at Utrecht University, Netherlands. 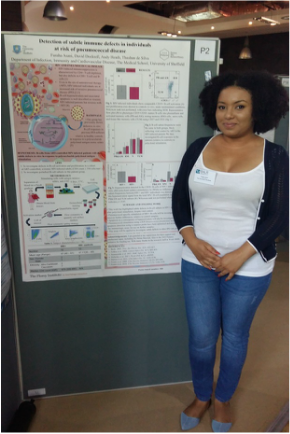 This is Astrid’s second placement, the first being a 9 month internship with our GSA partner, the University Medical Center in Utrecht, where she studied the interplay between human cytomegalovirus and the immune system. Whilst in Sheffield, Astrid will be learning the art of Staphylococcus aureus infection using the zebrafish model. 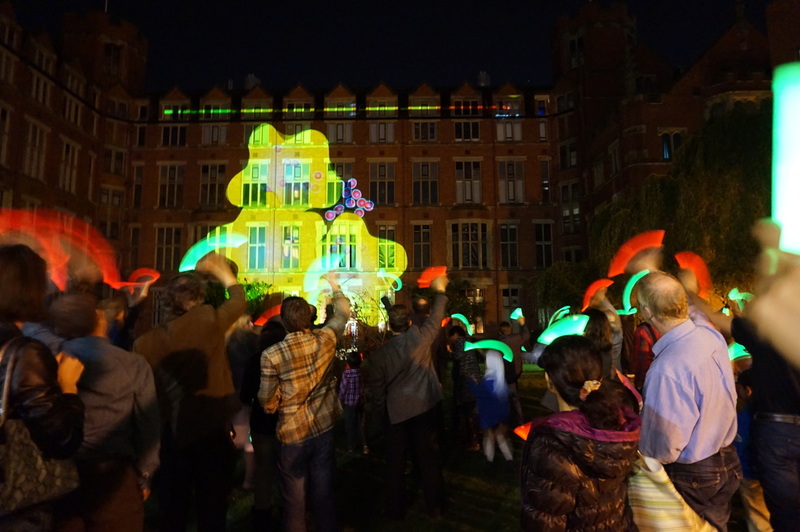 Glow stick battles between bacteria and antibiotics projected onto the inner courtyard at Firth court, walking on custard and controlling model racing cars with only your brain waves – it can only be KrebsFest! These were just a small selection of activities on offer at the KrebsFest open night (07 Nov 15) and the public night (13 Nov 15). Other gems included an amazing rap by Oort Kuiper, dance performances by The Balbir Singh Dance Company and (of course!) the 28m inflatable E.Coli hanging from the ceiling in Firth Hall. Many congrats to the organisers - it's been an amazing festival! 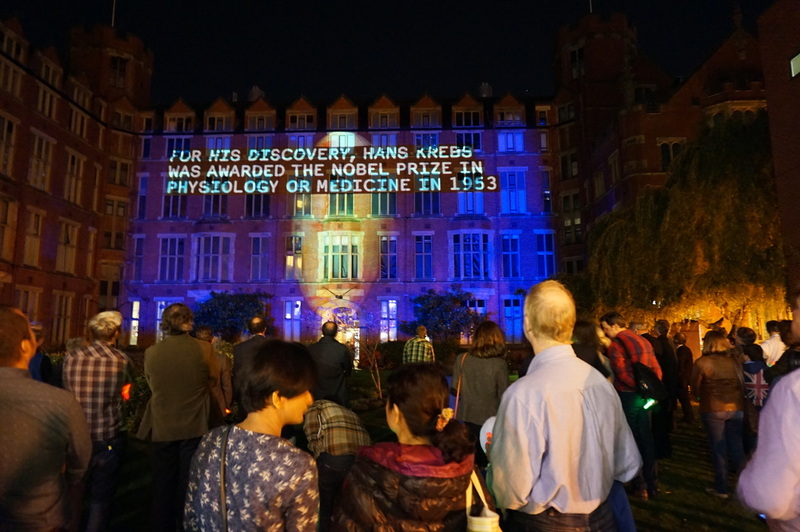 An exhibition on the life and works of Sir Hans Krebs is now open (as of 15 Oct 15) at the Western Bank Library at the University of Sheffield. The exhibit (part of KrebsFest) not only reveals insights about Sir Hans' life in Germany in the 1930s and his latter research career at Sheffield, but also creative and interactive pieces which showcase the current work being undertaken here at Sheffield within the Florey, Imagine: Imaging Life and Grantham Centre projects. 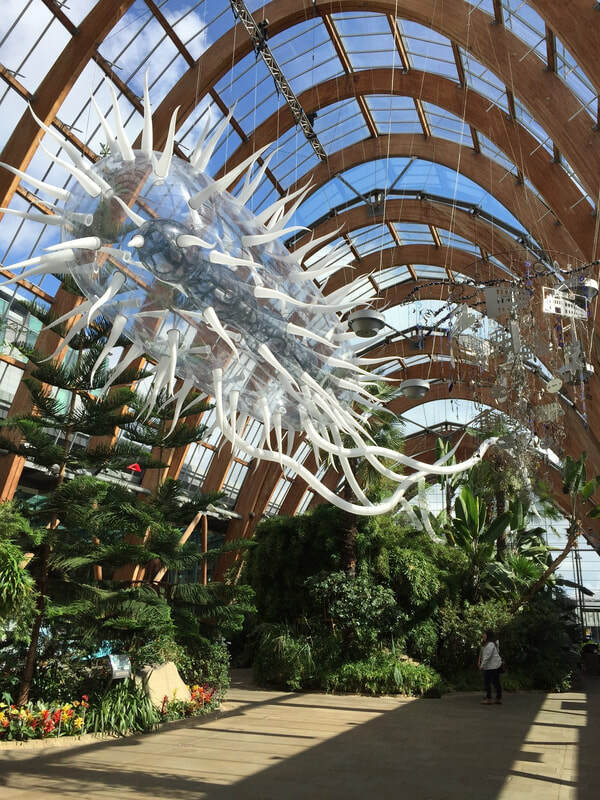 A giant inflatable E.Coli created by artist Luke Jerram has been unveiled in the Winter Gardens in Sheffield City Centre today (15 Oct 15). The sculpure, which is an amazing 90 feet long, has been hung from the ceiling to celebrate the work of scientist Sir Hans Krebs as part of KrebsFest. 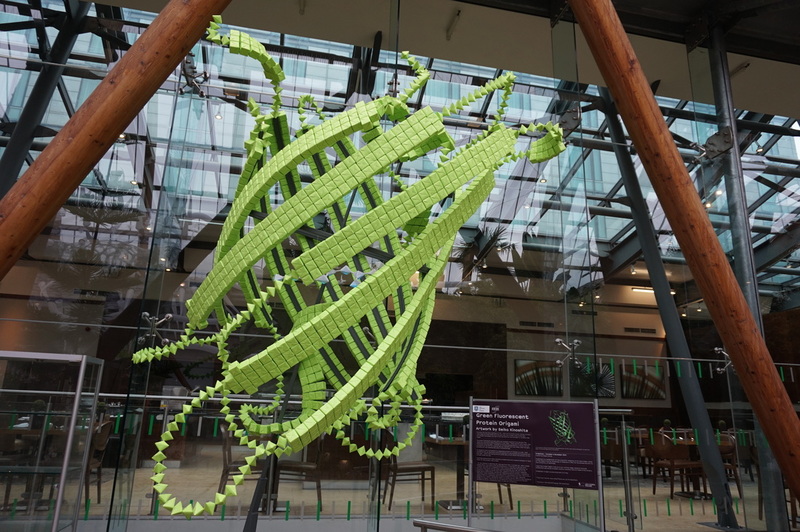 Also on display is an origami sculpture of green fluorescent protein (GFP) made from over 10,000 pieces of folded paper made by Sheffield-based artist Seiko Kinoshita. Florey students Emily, Chloe, Joe, Furaha, Daria and Ben have entered the Biotechnology Young Entrepreneurs Scheme (Biotechnology YES), a competition aimed at early career researchers to encourage entrepreneurialism in bioscience. The challenge they’ve been set is to prepare an oral presentation (in small teams) for a hypothetical bioscience start-up company seeking equity investment. The presentation will be given to a panel comprised of business, financial and academic representatives taking the role of equity investors. Two teams from each workshop will be selected to progress through to the final which will be held in London on 10th December. The winners will receive £2,500 and an opportunity to attend the Rice Business Plan Competition. Best of luck guys! 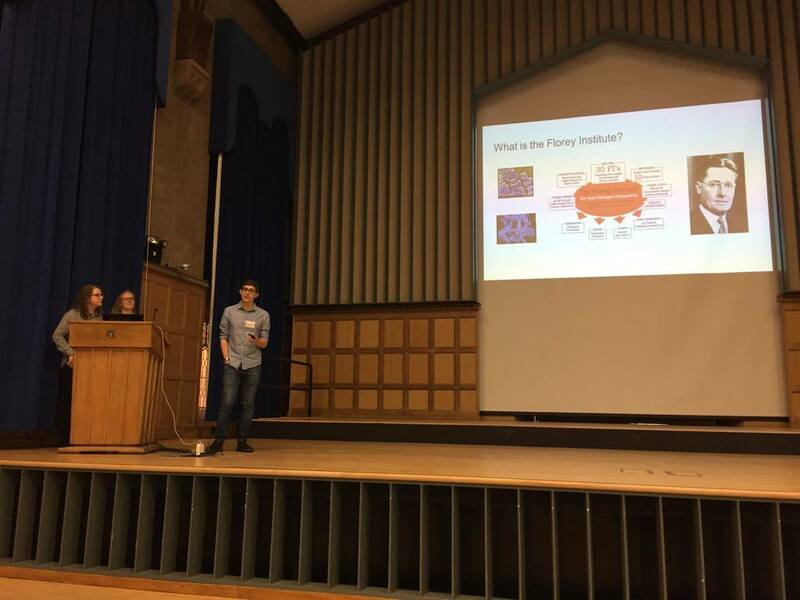 As part of ﻿KrebsFest﻿, a festival being held at the University of Sheffield during October and November to celebrate the scientific research of Nobel Prize winner Sir Hans Krebs, Florey students have been working with schools to see how science inspires young people. The ‘Hidden Worlds’ project is aimed at giving students the opportunity to explore the microscopic world and, with the help of local artist and science enthusiast Steve Pool, interpret their understanding of how our bodies can fight infection in a visual way by producing a short animation. The short films will be shown on a dedicated schools night during the festival. Chloe and Emily visited St Mary's Catholic High School in Chesterfield to teach students about the concept of good and bad bacteria…and how some bacteria are not always that easy to categorise! Furaha and Roxanne have been working with students at Maltby Academy in Rotherham. They told students about antibiotic resistance and the research they are doing into finding new antibiotics. Ben and Kyle prepared a presentation about microbes and host immunity for students of Meadowhead school. To help bring the lesson alive, some Zebrafish were taken along for the visit! Another successful symposium by the Florey students! 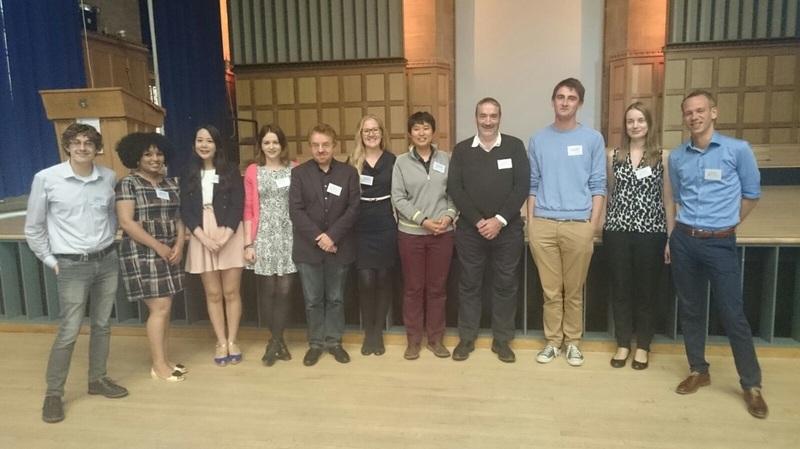 ﻿ Congratulations to the Florey PGR students for organising and hosting another excellent symposium last Friday (11th September 2015). The symposium, their second conference to date, was very well attended - not a surprising fact considering the superb line up of speakers. Topics ranged from pathogenic bacteria to host pathogen interactions through to novel therapeutic targets as well as fascinating reflections on the wider role of science in society today. 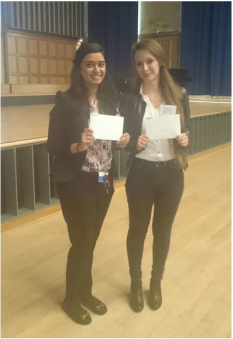 Apoorva Mulay (a PhD student in Colin Bingle's Lab) won first prize for her oral presentation, with second prize going to Claudia Lindemann from the Jenner Institute (University of Oxford). In the 'people's vote' pos﻿﻿ter competition, ﻿﻿Magdalena Widziolek (Jagiellonian University) won first prize. Second prize went to Dr. Khondoker Akram (Univeristy of Sheffield). 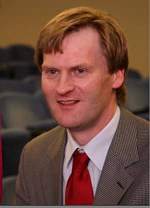 And finally, the lucky winner of the 'Sponsor Bingo' was Dr. Ewan Murray. Well done everyone! Thank you also to the sponsors who made the day possible! 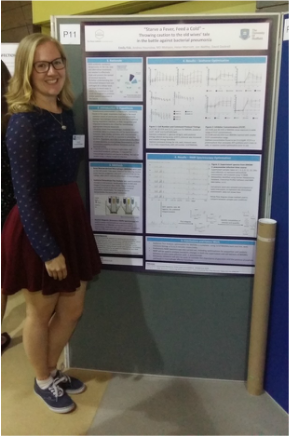 “One of my personal highlights actually came the week after our symposium, when I attended the M4 Midlands Microbiology conference; a couple of conference attendees recognised me as one of the Florey symposium organisers, so came to discuss the work we carry out in the Institute and congratulated us on a successful day - they emphasised how much they wanted to return next year which felt great! It was definitely a worthwhile experience and hopefully it will open doors for future collaborations too!" Prof. Jamie Hobbs was recently awarded a £509,648 grant from the Engineering and Physical Sciences Research Council (EPSRC) to facilitate engineering and physical sciences involvement with the antimicrobial resistance (AMR) problem. The Sheffield antimicrobial resistance network (SHAMROK) grant will enable new, and augment existing, research opportunities by developing cross faculty networks within our internationally leading IMAGINE:Imaging Life and Florey Institutes. The network will focus on the development of physical and physicochemical tools for understanding bacteriology and the host response, the development of new surfaces, dressings, and tissue engineering related approaches for preventing infections and improved drug delivery strategies for antimicrobials. The interdisciplinary approach shall make the most of our existing expertise to catalyse truly transformative activities that are unconstrained by traditional discipline boundaries. The Medical Research Council (MRC) led cross-council initiative to tackle antimicrobial resistance (AMR) has awarded £3.19 million to the SWON alliance (a multi-partner collaboration between the Universities of Sheffield, Newcastle and Oxford, led by the University of Warwick). The grant aims to tackle AMR by elucidating the fundamental processes of bacterial cell wall synthesis. By funding research into how the cell wall can be targeted by new antibiotics we aim to understand how resistance to antibiotics occurs. The University of Sheffield shall use the IMAGINE infrastructure and our expertise in Staphylococcus aureus (Florey Institute) to analyse how the cell wall is made and how antibiotics can inhibit this process.